In this blog I will show how to use replication filters to link two different clusters. 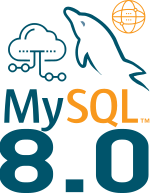 This doesn’t work on MySQL 5.7 because you cannot have filters for a specific channel and if you globally filter the metadata, changes like topology changes, won’t be replicated inside the group and you will have issue with MySQL Shell and MySQL Router. 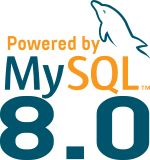 So this solution works only for MySQL 8.0 (since 8.0.1). Let’s consider we have again the exact same setup: 2 DCs and 6 nodes (see previous post). Now we will take a backup of this running cluster (in the first post, we were using the backup of a single instance, that I called the “production server”). And now we can do the same on the Primary-Master of DC1 to point on the Primary-Master of DC2 (or use MySQL Router as explained in part 1). Don’t forget that this is a Disaster Recovery Solution and that you should not write on both DCs at the same time ! Whats the benefit of not replicating the metadata? Not having to filter out the metadata, allows you to backup the full cluster only on one site for example. It allows you also to switch a member from a cluster to another. But the main point for me is to avoid to have to use replication filters. When writing to both data centers using this example, are there any other requirements besides primary key and auto increment offset that should be addressed?